Can anyone here provide some directions as to how to change the default SSRS url http://servername/ReportServer/Pages/ReportViewer.aspx?%2fNewDKR%2fDKR1 to some other name like http://mynewurl ? basically you'll open the Reporting services configuration and change the URL from there.. Your users must still type in http://servername/mynewurl or http://111.222.111.222/mynewurl to access report server or report manager. are you saying the users will still type http://servername/mynewurl even if i change the url? 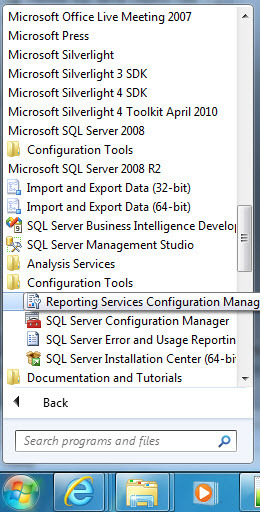 unless you could use IIS create your virtual directory and let it forward the requests to that SSRS URL.